Videocon V1570 comes with 3.0 inches touchscreen display, 1200mAh Lithium Ion battery and expandable memory up to 8GB. Phone has FM radio, Bluetooth, supports micro USB port. 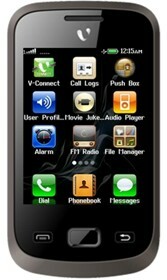 Videocon V1570 has apps such as Facebook, twitter with another its dual torchlight.